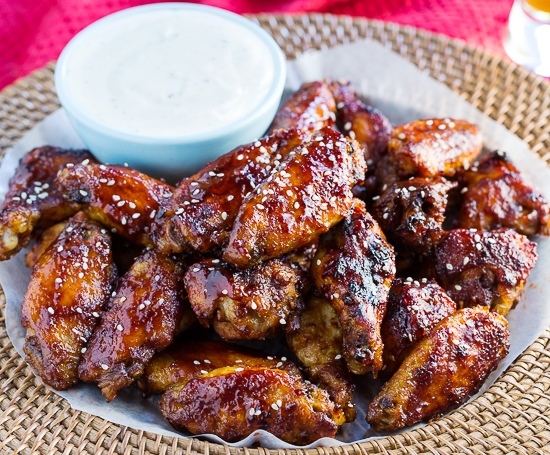 Crock Pot Sweet and Spicy Sticky Wings - Gutom Na! Posted on Monday, August 17th, 2015 at 4:28 pm. Place ginger, garlic, ¼ cup dark brown sugar, 1 tablespoon soy sauce, ½ teaspoon Sriracha sauce, and ⅛ teaspoon cayenne pepper in a food processor and pulse until a paste is formed. In a medium bowl, whisk together water, tomato paste, remaining ½ cup dark brown sugar, ¼ cup soy sauce, ½ teaspoon Sriracha sauce, and ⅛ teaspoon cayenne pepper.